It is reported that General Overseer of the Redeemed Christian Church of God (RCCG), Pastor E.A Adeboye has condemned kidnapping and killings in the country. 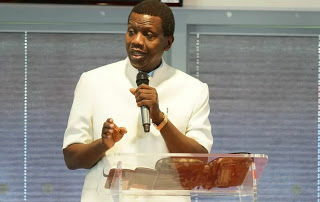 Leading his congregation in prayers, at the February 2018 Holy Ghost Service tagged “Stronger than your enemies – Part 2”, held at the Redemption Camp, Adeboye asked the congregation, which included the Vice President, Prof. Yemi Osinbajo, to pray that God should expose and deal with those that are shedding blood, and those that are sponsoring them. About 50 persons were murdered by Fulani herdsmen in Benue State in the first two days of January, 2018. There have also been several cases of kidnappings in some parts of the country. Reports say that the herdsmen started attack since the Benue State Government implemented the anti-grazing law, giving the herdsmen no space to feed their cows.